Diamonds are forever, yes forever for India. Is it that the Indians love Diamonds or is it that Indians are skilled at identifying, polishing and setting the diamonds right? The Diamond Industry in India was once controlled by the Jews between 1950s and 1970s, and later by the ethnocentric groups like the Jains, Marwaris and Sindhis. This is a $23-billion industry, driven by exports, accounts for a little over a third of the entire gems and jewellery trade of India. There are around 6,500 diamond manufacturers. However big or small, this industry is based on extremely high-value transactions that demand trust on each other. Indians have always been connoisseurs of precious stones and ornaments. Trade secrets of the jewellery business have been handed down over generations, ensuring continuity of traditional craft. Thus, Export companies of India are today the world’s largest diamond cutting and polishing centre. India has been adding modern techniques, skill gaining institutions and also a University to this traditional and clustered business that is more in tune with global market trends. 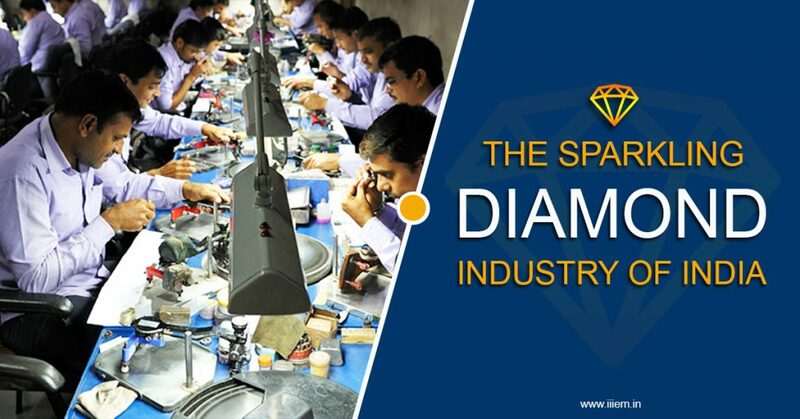 Bharat Diamond Bourse (BDB) is the world’s largest diamond exchange in Mumbai, India. Spread over a 20-acre plot, the Complex is home to some 2,500 small and large diamond traders in addition to the Custom House, banks and other service providers who cater to the gems and jewelry trade. Another biggie is the Hari Krishna Exports Pvt. Ltd. (India) a multinational Diamond Trader of Surat ruling the industry. And this makes the Indian Diamond Industry the largest in the world. The sector contributes 7 per cent to the Gross Domestic Product (GDP) of the country. India’s exports of cut and polished diamonds, gold jewellery and gem stones are forecasted to grow around 10 per cent year-on-year in FY19 according to Gems and Jewellery Export Promotion Council (GJEPC). Exports of cut and polished diamonds grew by 4.17 per cent to $23.74 billion in 2017-18. Last year, the country’s import of rough diamonds rose 24.5 percent to 149.8 million carats and export of cut and polished diamonds witnessed a surge of 28.3 percent in carat value. India imports Diamonds of the non-industrial unworked or simply sawn worth US$ 16,455,728.75 million. India exports Diamonds non-industrial, nested & worth US$ 22,440,712.30 million. Countries where India exports its polished diamonds are USA, Belgium, Israel and Hong Kong. The Gems & Jewellery Export Promotion Council ( GJEPC ) with its harmonized code 7102, is the hot favorite among the Jewelers. Since this is a high margin commodity, it is not for anyone & all. The supply chain can be divided into three segments, Rough diamonds, polishing and cutting, and retailers. Rough diamonds are primarily imported from a handful of mines located in Africa and Russia. Most of these rough diamonds pass through Surat for polishing and cutting stage, thus forming the midstream of the supply chain. Finally, the polished diamonds are exported to retailers in Belgium, United States, Dubai and China, the world’s largest markets for diamonds. The Diamond Industry is an industry which attracts all, but is not for all. High skills, right check, and loads of financial transaction with trust & faith are involved. Cut, carat, Clarity and Color are the four C’s which one must master to identify and evaluate.